Do you know that only 13 percent of the world population enjoys a free press? According to Freedom House report “Press Freedom in 2016” the safety of journalists is guaranteed in just 13 percent of the world’s population. 41 percent of world’s population has a partly free press and 46 percent live in not free media enviorenment. Impunity is becoming the biggest threat to media freedom. Committee to Protect Journalists (CPJ) recently claimed that Afghanistan, Pakistan, Bangladesh and India are among the “13 most dangerous countries” for the journalists. Other dangerous countries are Somalia, Iraq, Syria, Philippines, South Sudan, Mexico, Brazil, Russia and Nigesria. CPJ’s 2016 Global Impunity Index spotlights countries where journalists are slain and their killers go scot-free. November 2nd is the International day to End Impunity. This year, UNESCO and many media organizations, including Free Press Unlimited, IFJ, CPJ, and RSF, are organizing special events to raise voice against impunity of crimes against journalists and media houses. Growing extremism and intolerance of some democratic regimes is creating a lot of threats for media freedom in South Asia, Middle East, Africa and Latin America. In some countries security agencies are trying to silence the voice of journalists in the name of national interest. Recent case is Turkey where a democratic regime is silencing the voice of media in the name of “protecting democracy”. Unfortunately, media is losing its freedom very fast in many Muslim countries but Europe is no more an exception. The massive influx of migrants to Europe indirectly resulted in a variety of limitations on media freedom. One example is Hungary where police attacked many journalists who were reporting violent clashes between riot police and migrants arriving in the country’s southern border. A series of attacks on journalists were reported in Germany by far-right groups who were opposing Chancellor Angela Merkel’s welcoming policies towards the refugees from Middle East. I live in South Asia that’s why I am more concerned about growing threats to media freedom in my part of the world. There is democracy in Pakistan, Bangladesh and India but why these three South Asian countries have become dangerous for media? Extremism is not the only reason. Reporting against criminals and corrupt mafias is also becoming difficult. Sometimes people sitting in power corridors don’t like voices of dissent and they try to silence journalists by declaring them “anti-national.” I believe that freedom of expression plays a very crucial role in good governance, transparency and accountability. South Asian economies cannot achieve the goals of sustainable development without good governance and it is not possible if media cannot raise some fair questions. Many journalists and bloggers lost their lives in Pakistan, Bangladesh and India but their killers were not yet arrested. More than 100 journalists and media workers lost their lives in Pakistan since 2005. Almost one journalist killed every month but only two cases resolved yet. Pakistani journalist Hafiz Hasnain Raza from Okara district in Punjab province was arrested in April 2016 under terrorism charges because he reported peasants’ struggle for their lands occupied by security agencies. Pakistani media is losing its freedom very fast. It’s unfortunate that Pakistan government sacked Senator Pervez Rashid as federal information minister just because he failed to censor the story published in Dawn newspaper about alleged differences between civilian and military leaders. Writer of the story – Cyril Almeida – left the country because many politicians demanded to initiate a treason case against him. India is the largest democracy in the world with a strong judiciary and vibrant media. Ninety-five journalists have been murdered in India since 1990 and very few cases were resolved so far. For example, one Indian journalist Jagendra Singh was set on fire by police in Uttar Pradesh in 2015 because he wrote something on his Facebook page about the alleged corruption by a local minister. No-one has been prosecuted. Few weeks ago daily Kashmir Reader from Srinagar was shut down by Indian authorities in the New Delhi-administered Jammu and Kashmir because the paper refused to take dictation from the security forces. Many liberal and secular Bangladeshi journalists are facing criminal and treason cases just because they are posing some valid questions and powerful people in the government cannot answer the questions. 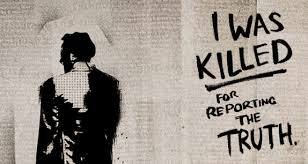 According to International Federation of Journalists (IFJ) 2016 report on impunity only one out of ten deaths in the media is investigated. IFJ’s #endimpunity 2016 campaign aims at holding all governments accountable for their impunity but IFJ is putting a specific emphasis on four countries. Mexico, Pakistan, India and Yemen. Pakistan and India are going through some very tense moments of their relations these days but they are united in one approach. The security establishments and the political elite in both countries do not like free media. They always try to use tamed media against each other. If they change their approach and give freedom to media then journalists on both sides may play a positive role to lower the tension. Only a fear-free media can bring durable peace in this world. First step for making a fear-free media is to end impunity. Lets raise our voice together against impunity. Great post! Its a sad fact that Pakistani journalists and social activists are targeted by extremist and radical groups. Journalists are not given protection as they are constantly getting life threats.